This building is known, above all, because in it was baptized Miguel de Cervantes Saavedra, on October 9 of the year 1547. 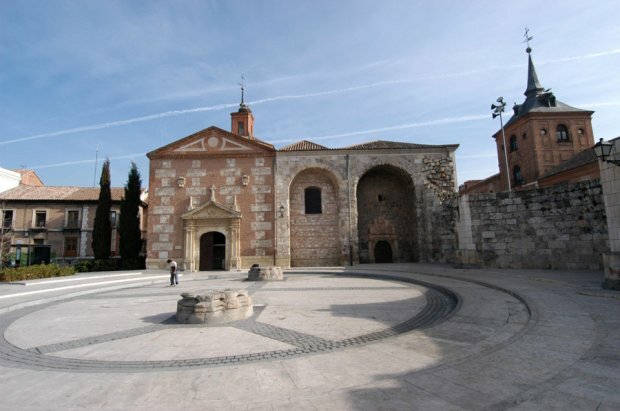 In its interior you can see the baptismal font that was used, although restored, as well as a copy (the original keeps in the town hall of the city) of the baptismal certificate of the famous writer from Complutense. The original construction as a hermitage of San Juan de los Caballeros dates from the 13th century and underwent different extensions throughout the 15th century. It receives the name to be founded by Pedro Díaz de Toledo, Oidor of King Juan II of Castile. Currently, it has a permanent exhibition about Cervantes and a temporary exhibition area.